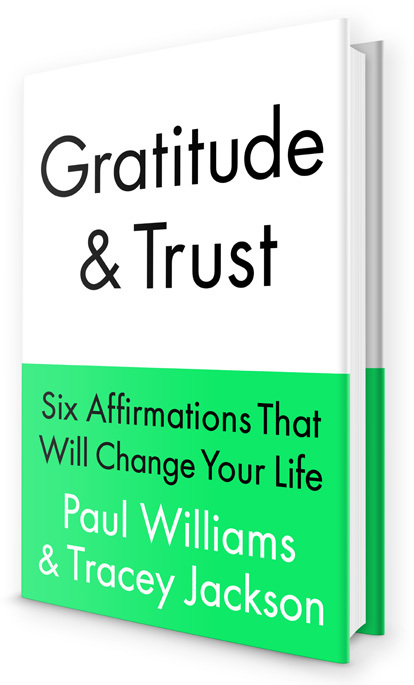 Gratitude and Trust will combine the knowledge Paul has gained in the twenty-four years he has spent working in the recovery movement, healing both himself and helping others to heal and Tracey’s lifelong quest for peace and a daily routine to get her through the ups and downs of life. Working with the underlying principles of the recovery movement as their foundation they have created six affirmations as a guide to positive action and life enriching new behavior. Used properly and consistently we believe they will empower people to create the lives they want, achieve their personal and professional goals and free them from fear based thinking and destructive habits. Once the life limiting roadblocks are identified, dealt with and removed, we believe one can begin to live a richer life in Gratitude and Trust.